“We go together. Like rama lama lama ka dinga da dinga dong…” Grease The Muscial, at the Eldorado in downtown Reno, is a real treat for the entire family. 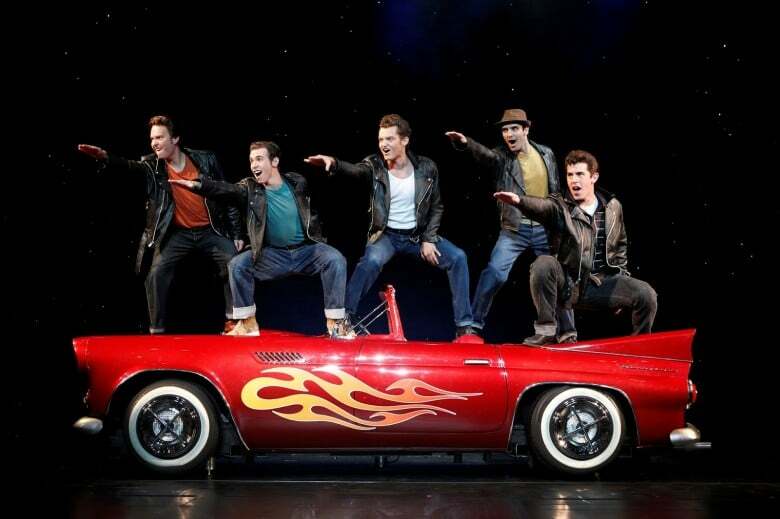 Grease is certainly the word in Reno over the summer. 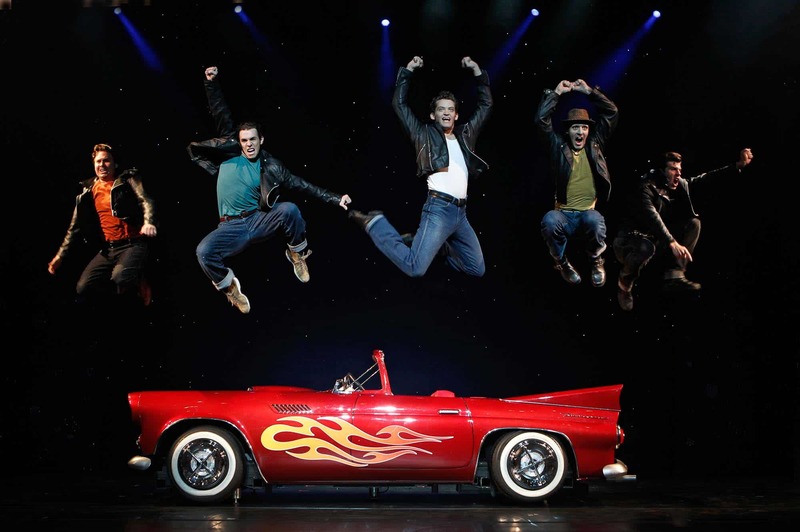 For as long as I can remember, Hot August Nights has always been one of the most popular events in Northern Nevada. Growing up with the culture of the “oldies” in my home, which is embracing the era of the 50’s and 60’s, it was a part of my life for as long as I can remember. Eventually, I discovered the movie Grease. The music had me mesmerized. This past summer, my daughter was watching a movie on Disney called “Teen Beach Movie” and she was signing along just like I used to sing along to Grease. So I decided to let her watch Grease. She loved it and that was when I knew we had to take her to see the live performance at the Eldorado in downtown Reno, Nevada. I was able to get tickets for the second row for my daughter, my mom and myself. 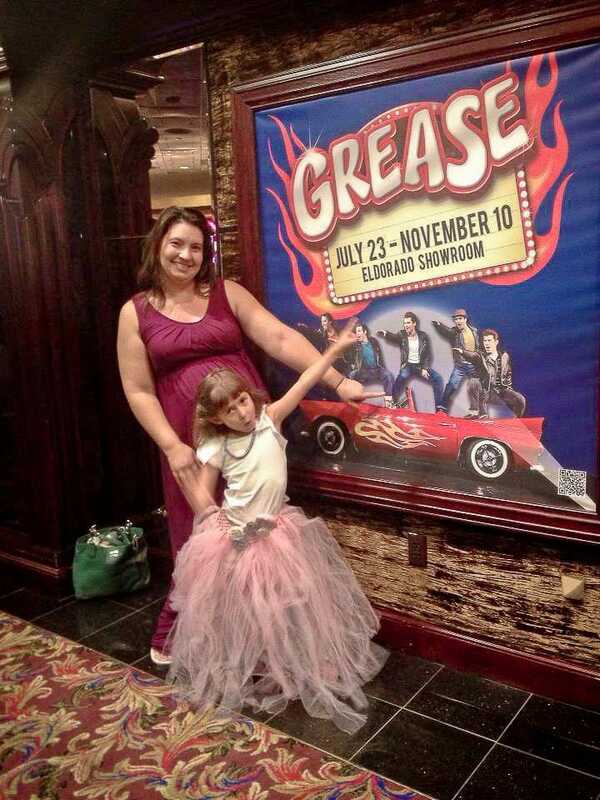 My daughter loves to dress up and, as a Broadway lover, I believe in dressing up for the theater, so we all got dressed up and headed off to the Eldorado Show Room for her first theater experience. Once we arrived, the excitement of the theater had us all ready to sing along, the lights begin to dim and my daughter’s face lit up. Honestly, the cast performing the show at the Eldorado put on a fantastic show. It was one of the best theater experiences I have ever had (and I saw Rent on Broadway, so that is saying a lot). The performers were absolutely on cue, the songs were perfect and the set was fun. All three of us enjoyed the show and I love that it was the first experience my daughter had with a live theater performance. 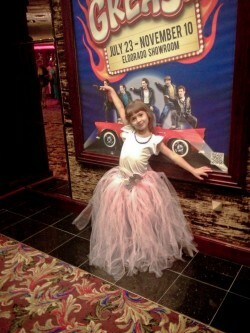 This show helped her to catch the musical bug, she has been walking around the house singing and dancing ever since we saw the show. I highly recommend locals go see this show before it closes its curtain in November. For more information about tickets and show times visit www.eldoradoreno.com/reno-entertainment/Grease. Even if you have never seen Grease in its original form, it’s a must see! Please note that the musical is different in many ways from the movie with John Travolta and Olivia Newton-John. In fact the musical is much milder in some of its language, however there is still some teenage behavior such as characters kissing. The other characters in the Pink Lady’s and Thunderbirds have bigger parts in the play, whereas in the movie most of the songs are sung by JT and ONJ.